Lisa joined the Power2 team in July 2016, bringing with her substantial experience from a career spanning over 20 years in banking, finance and real estate. Lisa understands the importance of providing a high level of customer service. 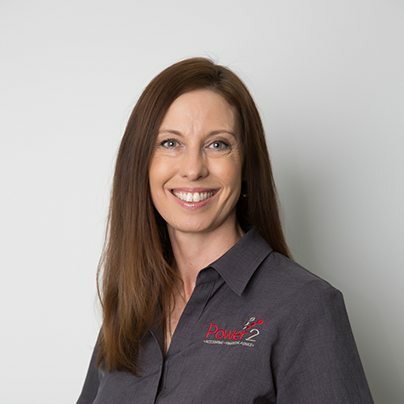 She welcomes visitors with a smile and her understanding and problem solving skills add an extra layer to the Power2 offering. As well as being the first person you’ll meet in the office Lisa also provides administrative assistance to the Taxation and Financial Planning teams . Lisa was born and raised in Brisbane, and moved to Mackay in 1994. She enjoys an active lifestyle in weight training and running. In recent years she has completed three half marathons and a full marathon.